Majella CEO Sebastian Monsour has been caught on tape stating the EB-5 program is the reason for attempting to buy the defunct ski area. 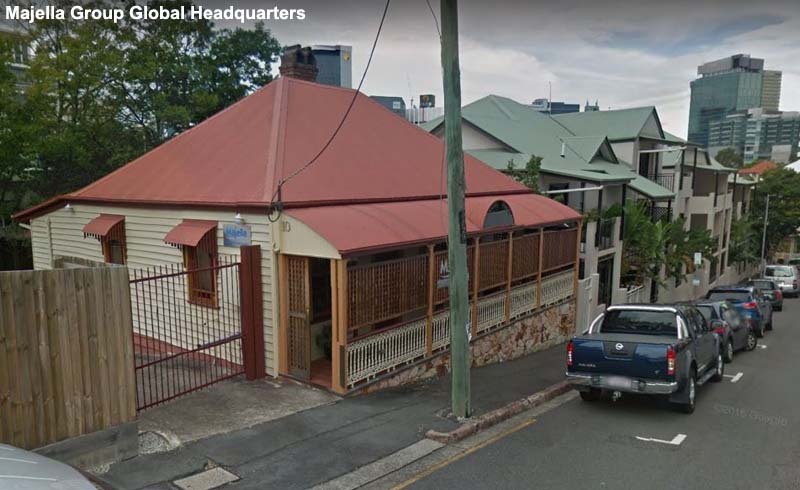 Majella Group CEO Sebastian Monsour stated the company was "cash poor" and the "EB-5 program is the reason we are actually buying Saddleback," according to leaked internal meeting audio released by NBC Portland's Kristina Rex. The tapes date back to September 2017, when Monsour publicly declared Majella was "committed to opening" Saddleback for the 2017-18 season. In the private meeting, Monsour is recorded stating, "we are not going to lose any sleep" if the ski area does not reopen. In the audio recording, Monsour stated, "opening the mountain at Saddleback for the Saddleback Resort is not a primary concern for us. Getting Saddleback is. The EB-5 program is the reason we are actually buying Saddleback." NewEnglandSkiIndustry.com News reported on mounting concerns and the Majella EB-5 program in September and October. Monsour added that Majella was in a "cash poor situation at the moment" and that "I have a very very very small amount of funds." Monsour stated he had until December 15 to close the deal. While the deal has not been closed, Saddleback remains closed. According to NBC Portland, multiple employees went from September to December without pay before quitting. 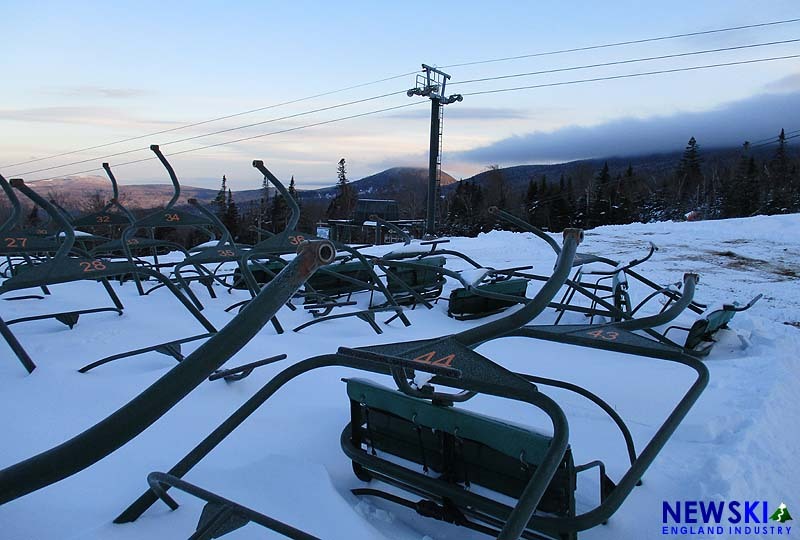 The latest saga dates back to July 2015, when the Berry family, owners of Saddleback, announced the Rangeley double was "at end of its useful life" and that operations would cease if the lift could not be replaced. The lift was not replaced and the ski area sat idle for the following two winters. On June 28, 2017, the Berry family announced Saddleback was being sold to the Majella Group. At that time, Majella announced the sale would be completed later in the summer and that a new fixed grip quad chairlift and T-Bar would be installed in 2017. At the time, Majella did not commit to operating in 2017-18. On September 18, 2017, Majella declared "dominoes have fallen into place" and that "physical work is starting" and that "the first step will be taking down the existing Rangeley lift." 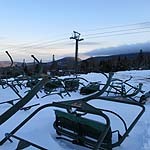 As of mid December, the chairs remain on the Rangeley Double. However, chairs were removed from the other lifts and remain on the ground, now buried in snow. Saddleback's lifts have not passed state inspection since November 2014. Also on September 18, with regard to a 2017-18 reopening, Majella posted, "only thing that is going to hold up or delay this process is Mother Nature" and that Majella was "committed to opening in some capacity for the 2017-18 ski season, assuming Mother Nature does not deliver an early winter with heavy snow." On November 9, Majella announced delays in the sale, while also adding uncertainty to a 2017-18 reopening by stating it "will not be a full opening, rather a limited operation that, if possible, will allow our Saddlebackers and their families to return and enjoy the mountain in some capacity." On November 21, NBC Portland reported it had "learned exclusively that the money isn’t there," adding "if the group doesn't come up with the money soon, the deal could fall apart entirely."